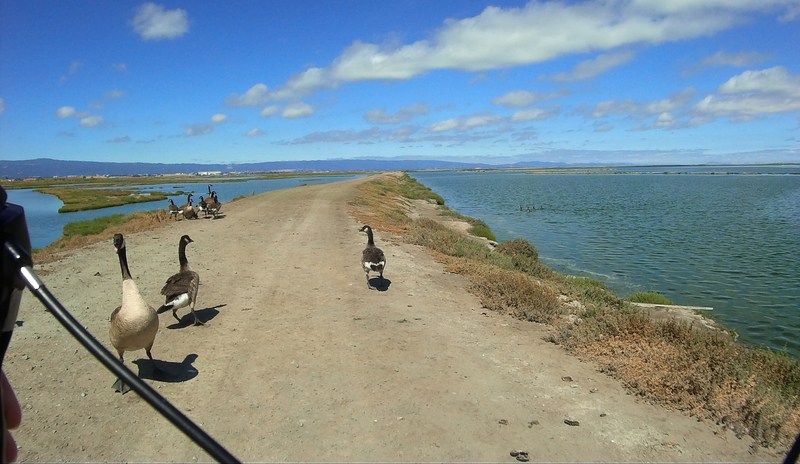 Canada Goose flock makes way for me and the bike on the Alviso levy. Did you know the Canada Goose lives between 10 and 24 years in the wild? These guys are spending their summer vacation out on the Alviso levies. They’re usually none too happy to see me. This entry was posted on June 26, 2017 at 2:29 pm and is filed under Ride reports. You can follow any responses to this entry through the RSS 2.0 feed. You can leave a response, or trackback from your own site.